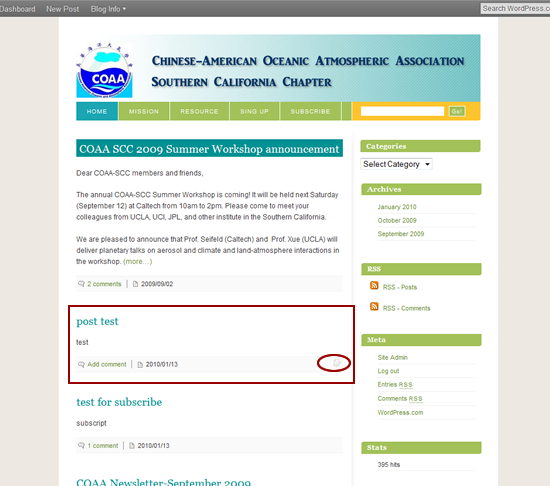 Below are the procedures of how to sign up and make a post on COAASCC’s blog. 1. 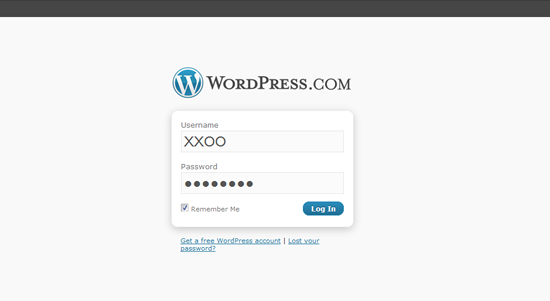 Go to wordpress.comcreate an account . 2. 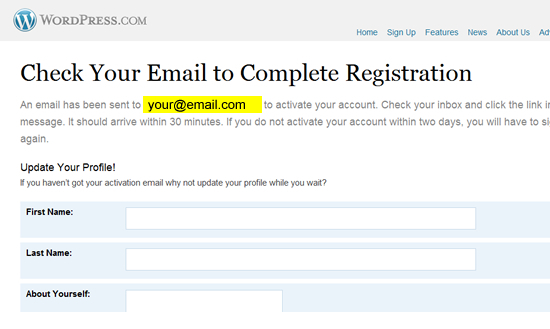 You will get an email notice like below. 3. 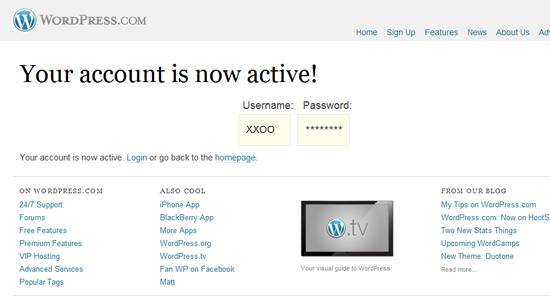 Click the link to active your account. 5. 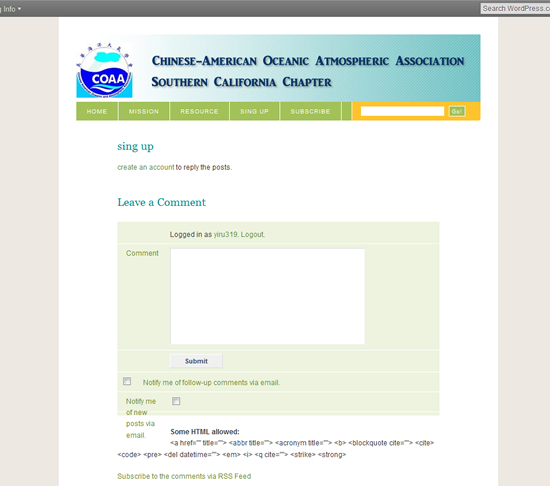 Go back to this page (https://coaascc.wordpress.com/sign-up/) and leave a comment about yourself (this will be deleted later). 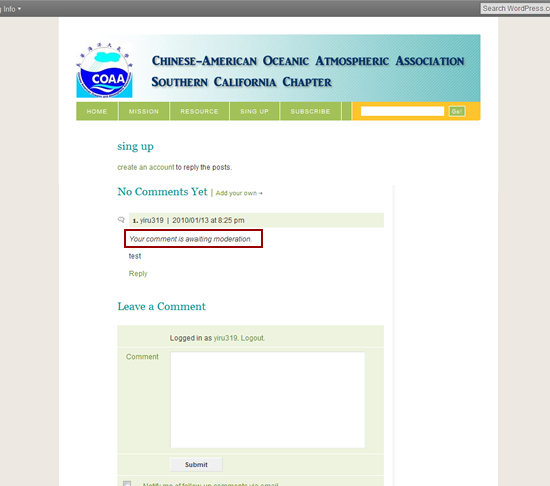 6.Then you can see your comment but it will be pending. 7. 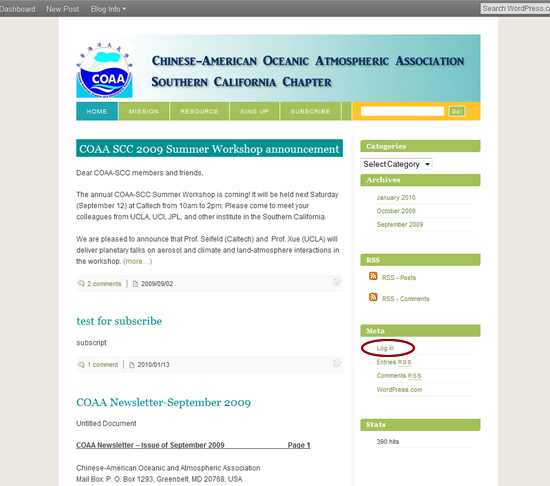 After the administrator check the identity, you will be set as an author of COAASCC’s blog. 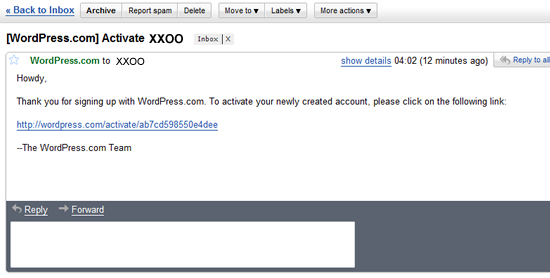 You will get an email like blow and then, you can make a post and leave comments. 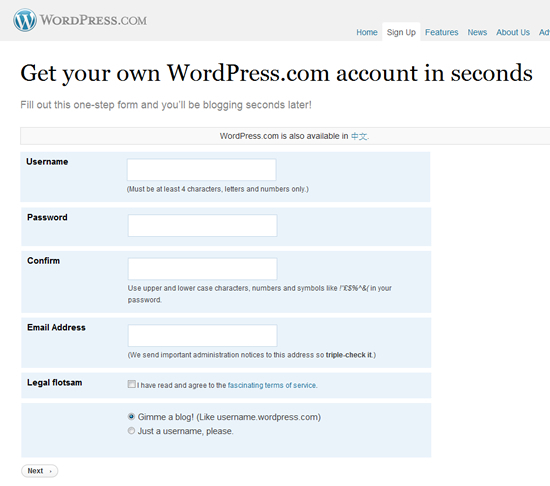 8.Anytime you want to make a post or leave a comment, you need to login first. 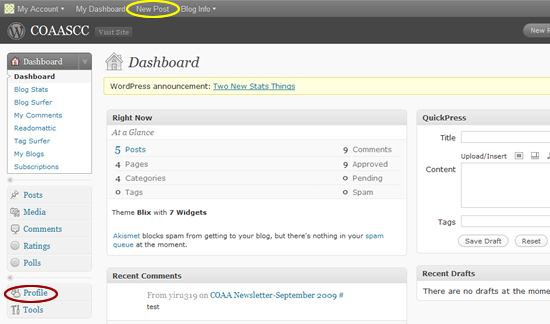 9.You can edit your profile or click the ”New post” to post a new post. 10. 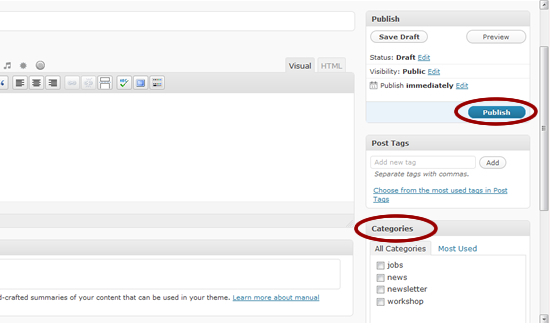 When you make a new post, make sure you choose a CATEGORY and click the publish button. 11. 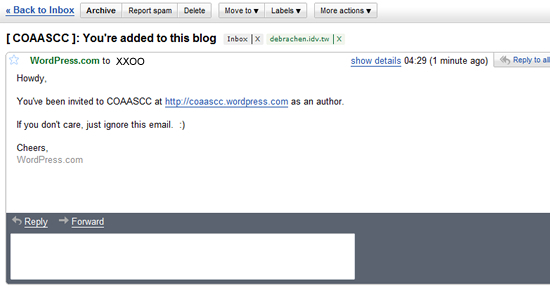 Click COAASCC (upper left corner), then you will see your post. 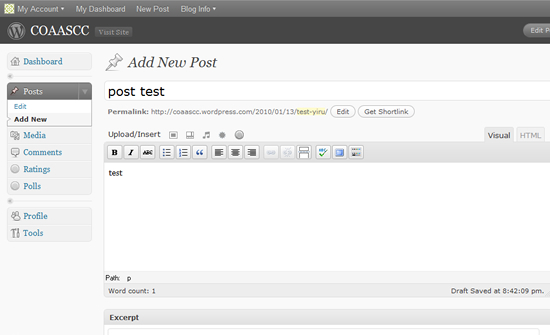 You can edit your post any time just click the icon at the bottom right corner of the post.